Background:I just picked up a couple of Christmas leftovers for my Christmas in July reviews. Review:The bier pours a hazy pale copper with orange hues and a fairly rich white head. The nose is of light malts, floral hops and yeasty notes. This actually smells more like a refreshing pale ale not a Christmas bier. Wow, this may be the hoppiest and most bitter Belgian that I have ever had. This almost rivals an American Pale Ale in bitterness maybe even an ESB. The taste starts out with a snappy bitterness up front on the tip of the tongue. This is very unusual; usually your first sensory experience up front is that of sweet malts. This is a first for me to have such sharpness up front like this. There is a nice effervescence over the tongue in mid-sip. 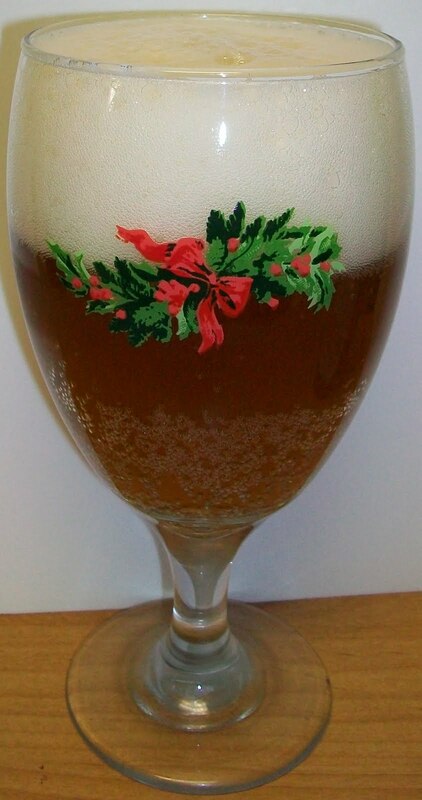 There is also a building hop bitterness during the middle of the sip. The back-end is very bitter (for a Belgian) but also fairly easy to swallow. The finish is very dry with a good bite to it. The final aftertaste is spicy with some lingering bitterness and a few yeasty notes. are not as hoppy as this bier and quite frankly much better ales. Now compared to an American style beer this is mild and the hop bitterness is not all that strong. This is just strong for a Belgian. In bitterness this is comparable to an American Pale or an ESB, although the hops in this brew are more pleasant than the typical American Cascades. This is not a bad Belgian IPA, however I am not getting Christmas from this bier at all. There is a some spice and a very pleasant hoppy bite to this bier. I’m going to give this a C+. Not a bad Belgian IPA but there are much better ones out there. I really cannot recommend this bier, although this will be very enjoyable to anyone that likes a strong Belgian IPA. 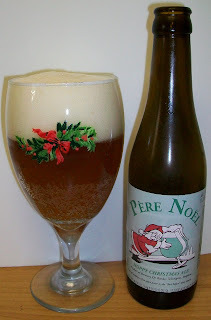 This bier would be much better was maltier with a little more Christmas spice.